Our pet-friendly hotel in Ironwood, MI offers a solid deal on a simple stay and amenities to keep you going while you are on the road. 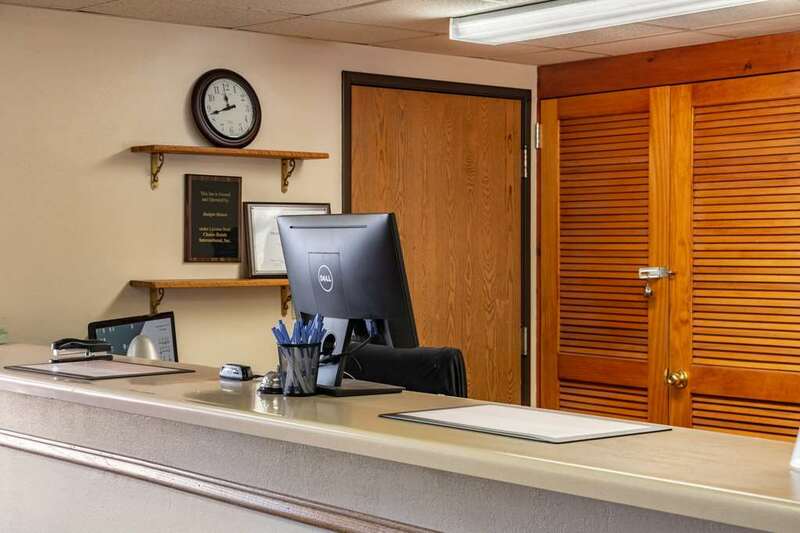 Amenities include free WiFi, free continental breakfast, truck and bus parking, free coffee and copy, print and fax machines. Guests rooms feature premium bedding, flat-screen TVs and coffee makers. When you want to stay within your budget, hotel accommodations at our Rodeway Inn are just what you are looking for. Our hotel is conveniently located near Little Girls Point County Park, Western U.P. Convention and Visitor, Ironwood Memorial-Municipal Building, Mt. Zion Recreational Complex, ABR Active Backwoods Retreat and Big Powderhorn Mountain. Enjoy the reliability of a brand name you can trust with our hotel in Ironwood, MI. With us you will get the most of your time in western Michigan with all the travel basics you need. Plus, you can earn points toward rewards like free nights, gift cards and more with our Choice Privileges Rewards program. Pets Allowed 30.00 USD per night. Max 25 lbs, 2 pets per room.